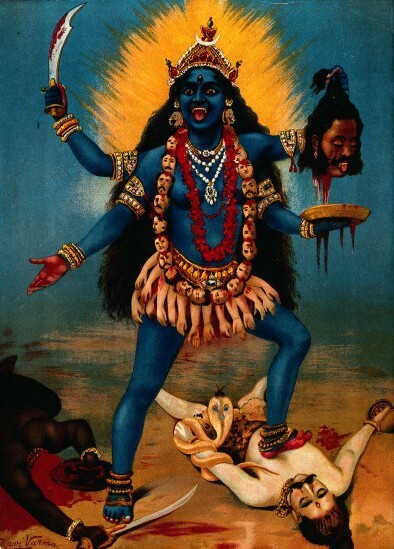 This intriguing, but little-known ‘imperial Gothic’ novel begins in dramatic fashion when an anglo-Indian infant is made a votary of Kalee, vengeful goddess of the Thugs. Years later, the baby has grown into beautiful Olga Trevelyan. But it soon transpires that Kalee’s nefarious influence still lurks in Olga’s unconscious mind, waiting to be reawakened. As with many an ‘imperial Gothic’ novel, the theme of reverse colonisation – the fear that England’s subjugated realms might possess the strength to fight back and overthrow the imperial centre – looms large. For me, the theme of mesmerism, an ancient supernatural force embodied in a threatening foreign other, and a peaceful English seaside setting is also heavily redolent of Dracula. I don’t know if Stoker had read Allen’s novel, but it wouldn’t surprise me! 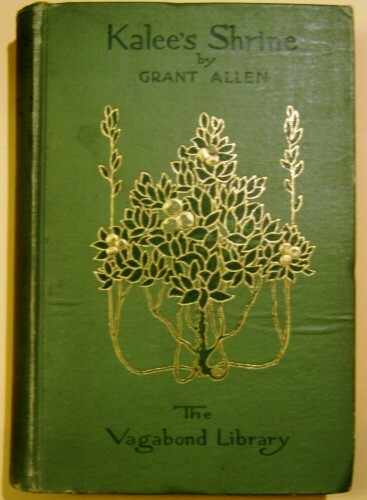 Unlike Stoker, however, Allen’s staunch sense of the rational (he had begun life as an evolutionary biologist) leads him to obfuscate the supernatural element, inventing a number of pseudo-scientific explanations that cast doubt on the paranormal elements of the book. Even so, the tale ends on an unsettling note of ambiguity, which implies that even if modern science is strong enough to combat effects of supernatural evil, it may not be able to explain it away. Nothing is known of ‘May Cotes’, beyond the fact that she was the young woman (possibly Anglo-Indian) who first came up with the original idea for the story. She contacted the folklorist and historian Andrew Lang, who suggested she collaborate with Grant Allen. 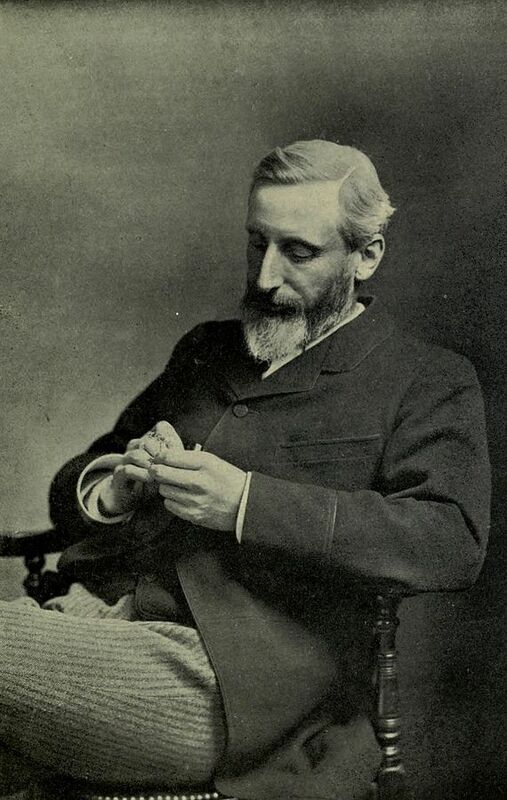 Allen himself was a prolific author of fiction, particularly famous for his New Woman novel The Woman Who Did (1895) and for speculative works like The British Barbarians (1895) – both of which appeared as part of John Lane’s infamous ‘Keynotes’ series of 1890s fiction. Kalee’s Shrine (1886) is little-read today, but deserves to be rediscovered – especially by readers interested in late-Victorian or imperial forms of the Gothic. EDIT: A recent update to Allen J. Hubin’s definitive bibliography of crime fiction reveals more information about the elusive May Coates. This entry was posted in Folklore, Gothic, Grant Allen (1848-1899), Uncategorized and tagged 19th century, anglo-indian, books, british, british empire, download, ebook, epub, fin de siecle, free, free ebooks, full text, Gothic, gothic novel, grant allen, hypnosis, imperial gothic, india, indian gothic, kalee, kalee's shrine, kali, kindle, late-victorian, literature, may cotes, mesmerism, nineteenth century, Olga Trevelyan, pdf, reverse colonisation, supernatural fiction, text, victorian on April 17, 2014 by stylesofdying.